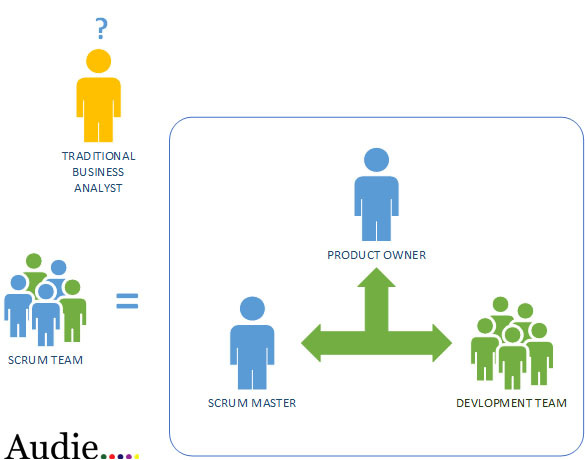 Jane is a business analyst and her company is introducing Scrum into the organisation. She has undergone some Agile training and is worried that Scrum introduction will affect her as a business analyst. Should Jane worry about her job? I think the long answer to this is probably not, though if Jane wants to continue only to gather requirements and perform as a traditional business analyst then she may struggle to get along with Scrum. This may lead to problems for her or the success of Scrum in her organisation. The risk is that not only may she have a bad time with Scrum if she does not show willingness to learn some new skills; The organisations implementation of Scrum may suffer too if it does not get properly identified. 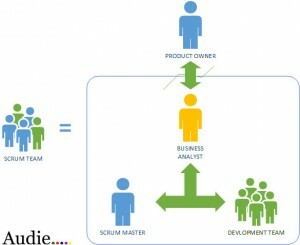 So how can Jane fit into Scrum? So let’s explore each route for Jane to help her to decide. 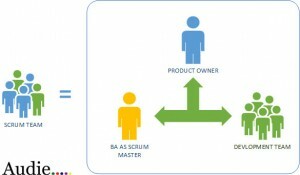 The bottom line is that having the business analyst refining requirements and acting as a proxy product owner will not work really very well. 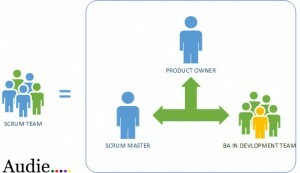 This method may be adopted as a misunderstanding of what Scrum is and is used to sometimes account for priorities a Product Owner has outside of the Scrum. This set up is ill advised and will likely cause issues with prioritisation and the authority that the business analyst has in order to make timely decisions will be the downfall. 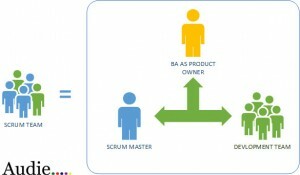 Scrum Master is not a natural fit for a person new to Scrum and will not play to the natural skills of a business analyst. In my opinion this is a role that Jane should not try to fit into being so fresh to Scrum. Maybe this is something she will grow into in the future after spending some time and gaining Scrum experience. OK so not looking positive for Jane so far is it? Don’t despair Jane I always like to save the more favourable options until last. This role is the closest to what Jane will currently be doing as a business analyst and is very likely to be what she will be most comfortable doing if her skillset is just as a pure business analyst. The Product Owner role is a more natural role for Jane to fill, however some mind-set changes will very likely be needed. The organisation will also need to be happy allowing Jane to make all of the key decisions for the product. This could be a very big culture change particularly if Jane is not a senior business analyst; Though not insurmountable in my opinion. Jane can help groom the requirements for the team and should be a natural progression of traditional business analysis. As everything is a team effort in the development team Jane WILL need to learn new skills, such as testing and development. I have sold this as a con but really in my heart I see this as a pro. This gives Jane the licence to learn new skills! How can that be bad? Though Jane may not want to learn new skills outside of the traditional Business Analyst domain. Depending on Jane’s skillset and appetite for change and learning new things she would be most likely suited with solution 3 or 4. Her decision may also be driven by the organisation too and where they think she may fit. She’d be well advised to learn more about Scrum and push for her favoured position based on her skillset. Her organisation also new to Scrum may need guidance in this area and may not place her in the right role.